Thank you for visiting our page on decks and giving us a chance to inform you about national codes on decks!!! 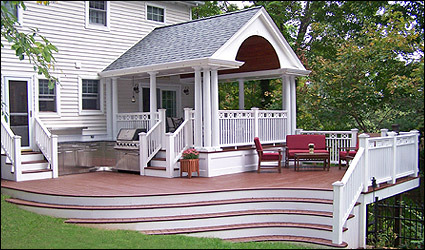 Decks are a very important feature of a home. Whether attached to your home, around a pool or built on the ground, a deck offers an added outdoor area to relax or entertain. 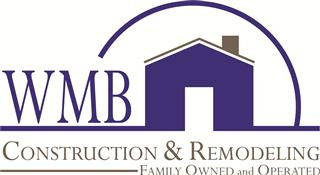 With many decks built around Orange County, NY, at WMB Construction we pride ourselves with constructing products that are sturdy and up to building codes. On this page we are going to inform you on some of the building codes for a deck. Remember, we are based in NY so most national codes apply but any building inspector can oversee and change most any codes, so always check with your local inspector before performing any work. Treads must be minimum 9"
Opening between treads must not exceed 4"
Opening between railings and stringer must not exceed 6"
How long will a pressure treated lumber deck last? We've seen decks that are 30-40 years old and still going. It all depends on mantainance of the deck. 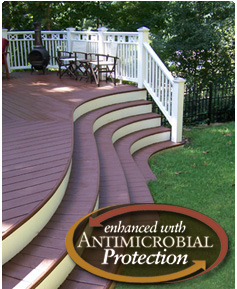 Different factors are involved to as to if deck is in the sun alot or always in a damp atmosphere.